Facilities sit on approximately 3 acres of land, utilized by the clubhouse, swimming pool, kiddie pool, promenade area, dining area, snack bar, storage and game room building, basketball, volleyball, tennis courts and parking area. Main pool facilities a 25 meter, 6 lane pool suitable for recreational and competitive swimming. 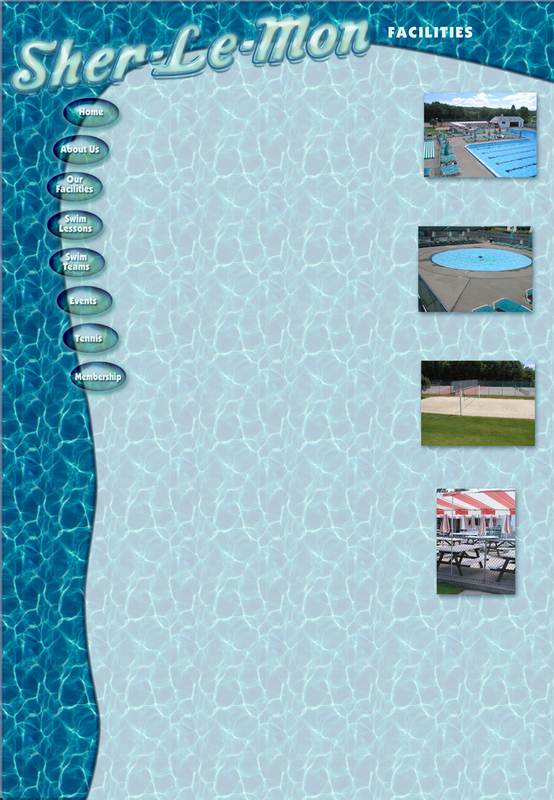 It measures 82’7” x 42’1” with a 40’ x 30’ diving “L” separate from the swim area. Depth ranges from 3’ to 12’. Separated from the main pool, it is totally fenced in. The 30’ x 20” pool is safe for toddlers and non-swimmers under parental or responsible supervision. Four (4) outdoor hard surface tennis courts. Sand volleyball court that can be used by kids and adults. New playground structure includes swings, simulated rock wall and other climbing structures, and slides. 60’ x 30’ awning & umbrella shaded, with fiberglass top and bench covered picnic tables for your dining comfort and pleasure. The snack bar and designated dining area, though an integral part of the swim club facilities, are not operated by the club. They are operated by an independent concessionaire, who offers a great and varied selection of snacks and beverages at reasonable prices, such as hot dogs, burgers, melts, sandwiches, finger food, drinks, frozen treats, and candy for your daytime enjoyment. Encompasses dressing rooms, toilet facilities, shower rooms, office and utility room. The club provides lounges, umbrellas, and awnings strategically located for your enjoyment. A full time club director and staff is available to assist you at all times. Fully qualified, certified lifeguards are on duty at all times when the pool is officially opened. An “adult swim” period is observed every hour, when children must vacate the pool. Open 7 days a week weather permitting.